Modern Maintenance Matters. 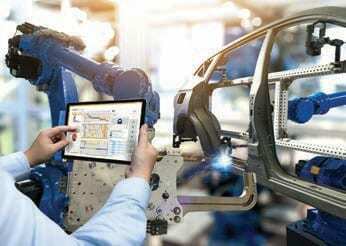 Many changes face maintenance personnel in the modern era of the Fourth Industrial Revolution, taking Industry 4.0 and the Internet of Things away from marketing buzz-speak and towards direct relevance to production engineers and operations directors. 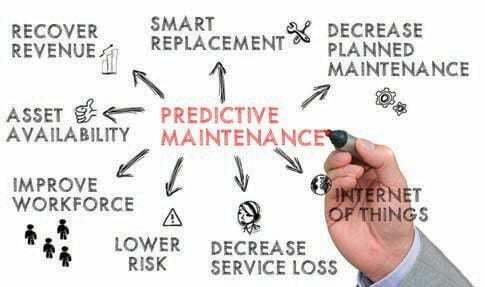 The majority are not yet at that point but are evolving from traditional (reactive or maintenance) maintenance activities towards proactive preventive maintenance strategies. According to a Oneserve study, unplanned downtime costs British manufacturers £180 billion per year. 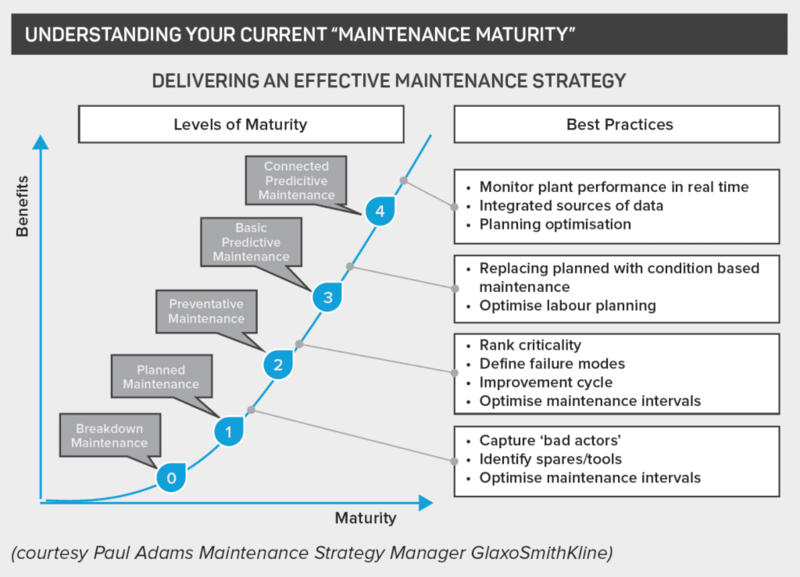 Increasingly, companies are moving to planned maintenance regimes, through a series of stages (Fig 1). Technologies such as vibration analysis and ultrasound have made it easier to measure the condition of equipment, while thermographic imaging – which shows up ‘hot-spots’ in electrical installations – is also more widely available. Takeup of advanced maintenance techniques varies widely from sector to sector. Aerospace and pharmaceuticals are highly regulated and operate in environments that lend themselves naturally to preventive maintenance techniques. The automotive sector is tightly organised, with multinational supply chains and just-in-time manufacturing; preventive maintenance is an essential component. Here, we look briefly at other market sectors. Unexpected downtime is one of the biggest threats, amplified by the reality of its core business being based upon perishable goods for production. Unplanned downtime due to breakdowns can cause staggering financial losses. This is due to the high volume of products being produced continuously, plus the risk of spoilage of unused ingredients. 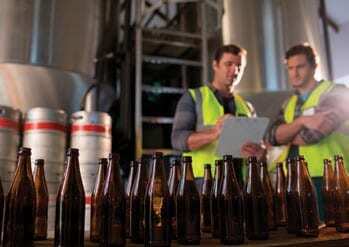 The penetration of advanced maintenance engineering practices within the UK food and drink industry is patchy. Much of it still operates a breakdown maintenance system, although larger companies do take advantage of modern maintenance practices. However, SMEs have been slow to implement such strategies. The prevailing maintenance regime is to service trains on a time or mileage basis. It does not take account of whether parts actually need replacing. Nor is it effective at preventing breakdowns. However, this is changing. Remote on-train monitoring recorders (OTMRs) on the Scotrail Class 170 fleet are expected to reduce delays by around 9000 minutes per annum. The target is a 30% reduction in maintenance times. As manning levels drop, so the need for remote monitoring of assets rises. 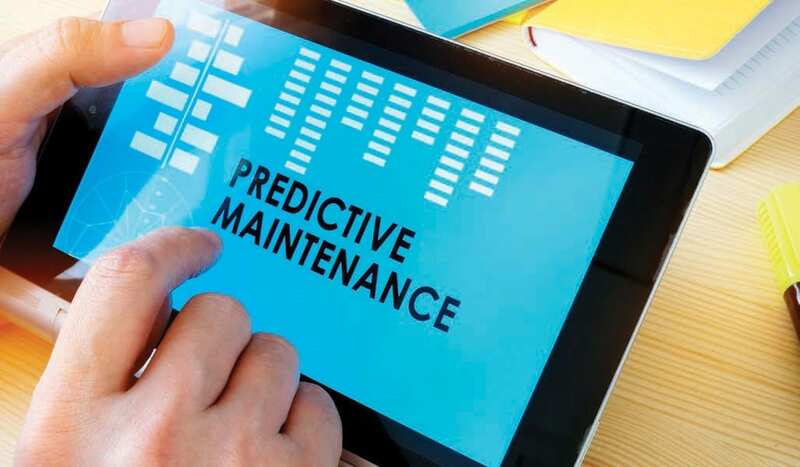 Frost & Sullivan’s recent analysis, Global Pumps Market in the Oil and Gas Industry, Forecast to 2024, says that predictive analytics and smart maintenance will revolutionise the way pumps are operated. Yokogawa with Statoil have concluded an agreement to jointly develop a field wireless system for real time monitoring of plant noise levels at Statoil’s plants and upstream (exploration and production) facilities, as part of its Wireless Noise Surveillance Project (WiNoS). Remote facilities such as substations no longer have to be physically visited to monitor their performance. Measurement data is sent by satellite or mobile telephony networks from devices on site. 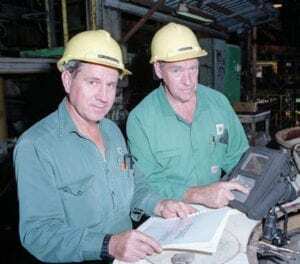 Generators and switchgear can also be assessed remotely, which can be key for some specific parts that may have shorter lifespans, due to climate and the level in which the plant is operating. Switchgear is typically tested to EU standards, where circuit breakers are designed to able to meet 10,000 operations. 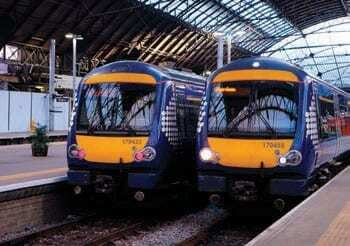 Maintenance 4.0 technologies are being deployed to help Scotrail cut maintenance times on its Class 170 fleet by 30%. Power networks no longer have to be physically visited for their performance to be monitored. The Victoria Line on the London Underground originally used safety circuits designed to “failsafe.” If they failed, the system assumed a train was on the line, regardless. Now, ruggedized miniature accelerometers measure the smallest of vibrations. The system monitors the performance of the safety circuits and connects them to the network to help alert maintenance teams of circuits that are about to fail. 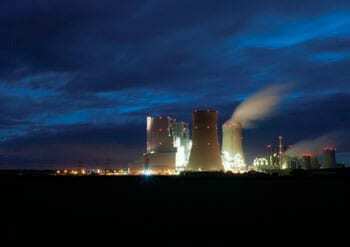 Robots can inspect locations which are hazardous for humans to inspect, or difficult for them to access, such as nuclear facilities and wind turbines. At the Farnborough Airshow, RollsRoyce demonstrated an exciting vision of engine maintenance, teaming up with the University of Nottingham and Harvard University. Snake robots work their way through the engine like an endoscope, to miniature, while collaborative swarm robots that crawl through the insides of an engine. 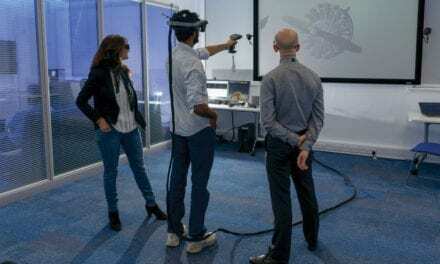 “While some of these technologies, such as the SWARM robots, are still a long way from becoming an everyday reality, others, are already being tested, to be introduced over the next few years,” said Dr James Kell, RollsRoyce On-Wing Technology Specialist. By analysing the vibration data from crane gearboxes for a port operator, Schaeffler UK is able to detect any damage to gearbox components early. The FAG Detector III is used to measure and record vibration data at each selected measurement position on the crane gearboxes. Two ageing gearboxes on one crane were experiencing high vibration issues, because of which the crane was operated at a slower speed, which caused delays to port operations. At SPS Drives in November 2018, ABB previewed its Asset Management Application, a digital solution that enables process industries to manage and protect their assets through predictive and preventative maintenance to avoid costly failures. It deploys machine learning and artificial intelligence to analyse equipment problems and optimize the performance. “ABB Ability Edge ensures a secure connection between assets and the cloud, efficiently separating IT and OT,” says Neil Shah, Global Product Manager for Device Management & Asset Optimization at ABB. PwC predicts that by 2030, there will be 76,000 drones in operation in UK skies, saving the construction industry £3.5 billion. The report also suggests that drone technology will see a 3.1% increase in productivity for the sector. Furthermore, 628,000 people will be working in the drone economy by 2030. 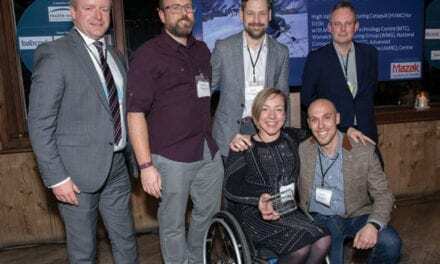 “By embedding periodic drone flights throughout the construction life cycle could provide a ‘golden record’ of all construction related activities,” says Jenny Frances, co-author and Drones PPM Lead at PwC.